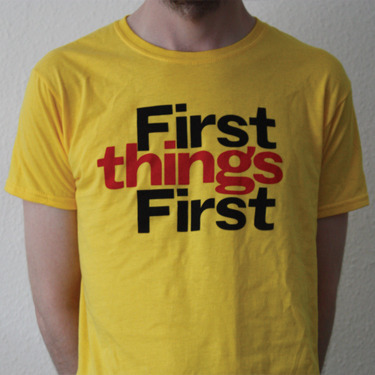 “First Things First”, is an old saying that we should live by. IF, the FIRST thing is the RIGHT thing. So many times we get that verse backwards… We seek first the things, and then want to add God when it’s convenient. Anytime things are out of order in our life, there’s chaos. Your life could turn around with the application of this one thought. Put Him first, and keep Him there.